Within the pages of Malcolm Smith’s new book, This Son of Mine - Discovering Your Identity in the Love of God, ($14.99, paperback, 9781498433945; $7.99, e-book, 9781498433952) readers will go on a journey into the amazing story that Jesus told of the father and his two sons. The general outline of the story is well known, but seeing its movements through the eyes of the first hearers, listening through the customs of that people, and hearing it as they heard it opens up new horizons that can be missed if read through Western eyes. Author reminds all that unconditional God-love will never give up but pursues to lay hold of each person and bring them to the life-transforming discovery of true worth and identity in dynamic union with Christ the love of God. Malcolm Smith was born in London England immediately before World War 2. He came to a personal knowledge of the Lord Jesus in his very early teens and experienced an infilling of the Holy Spirit that changed his life forever. He was immediately drawn to know the meaning of God's love. He has followed that desire for the last sixty years by studying, meditating, praying and researching in his own life and the persons that he has worked with. He brought the message to the addicts of New York City and to tribal peoples and pastors and their congregations on almost every continent. It is the subject in the weekly retreats and Bible schools conducted at his ranch and in his weekly webcast (http://www.unclov.org/webinars) every Tuesday, 7pm CT. He has previously authored a number of books including Turn Your Back on the Problem and The Lost Secret of the New Covenant. Xulon Press, a division of Salem Media Group, is the world’s largest Christian self-publisher, with more than 15,000 titles published to date. 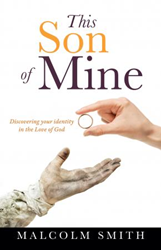 Retailers may order This Son of Mine - Discovering Your Identity in the Love of God through Ingram Book Company and/or Spring Arbor Book Distributors. The book is available online through xulonpress.com/bookstore, amazon.com, and barnesandnoble.com.